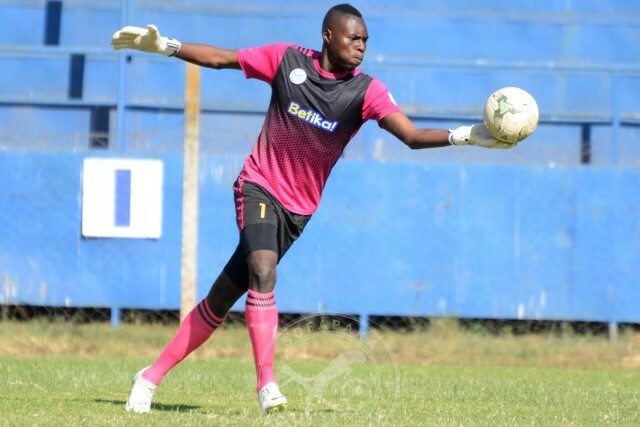 Sofapaka goalkeeper Justin Ndikumana says the team cannot celebrate now on the short term gains of picking three wins in four matches and has urged his teammates to keep working with an aim of being in the top two by the time the first leg ends. The Burundian keeper who joined Batoto ba Mungu from Congolese side St. Elloi Lupopo has played in the last five games, the one against Tusker FC being as a second half sub. He has played four full games, keeping clean sheets in three of them. “I am happy with how I have performed and how as a team we have turned the tide, but we can’t over-celebrate. That is past and we need to keep working hard because the road is still long and there is so much work to do,” the shot stopper said. “My desire would be to see the team post in the first two positions by the time we change over to the second leg so that we can be in a good position to push for the title in the second leg. It is possible, looking at how we are playing now,” he further stated. Ndikumana had a delay in his life at Sofapaka with his paperwork taking longer than expected to be processed, but he is pleased to be finally donning a Sofapaka jersey. “I was patient all that time and I kept working hard and I was really pleased to finally get that chance to play. My target is always to help the team whenever I go and that is exactly what I want to do here,” the lanky keeper noted. |The league here is very very tough. There is no small team or big team because everyone is capable of shocking the other. It is very competitive and for a player, this is something good. I feel very settled now and I am ready to compete with the best,” he stated.